In a blender, whirl 3 ice cubes, pisco, sugar, fresh lime juice, and egg whites. Whirl until smooth (you'll no longer hear the ice cracking against the side of the blender) and serve straight up in a martini glass with a dash of aromatic bitters and a wedge of lime. 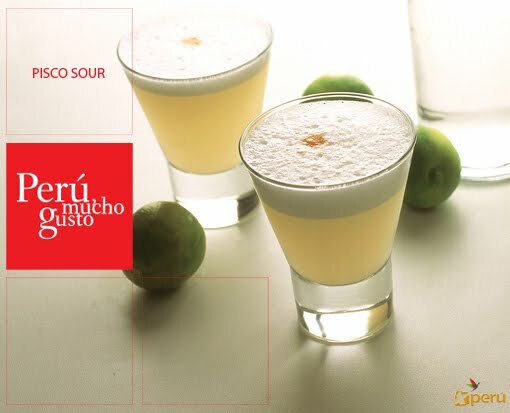 Pisco became popular in California during the Gold Rush, when Peruvian miners there extolled its virtues to fellow fortune-seekers. Images de thèmes de Synergee. Fourni par Blogger.